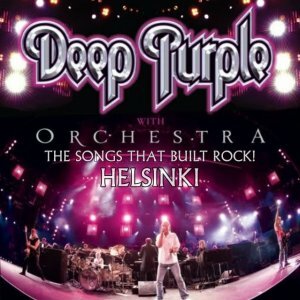 The current tour “The Songs That Built Rock” includes also a Frankfurt Philharmonic Orchestra with whom the band performed a string of their biggest hits as well some rarely played gems. 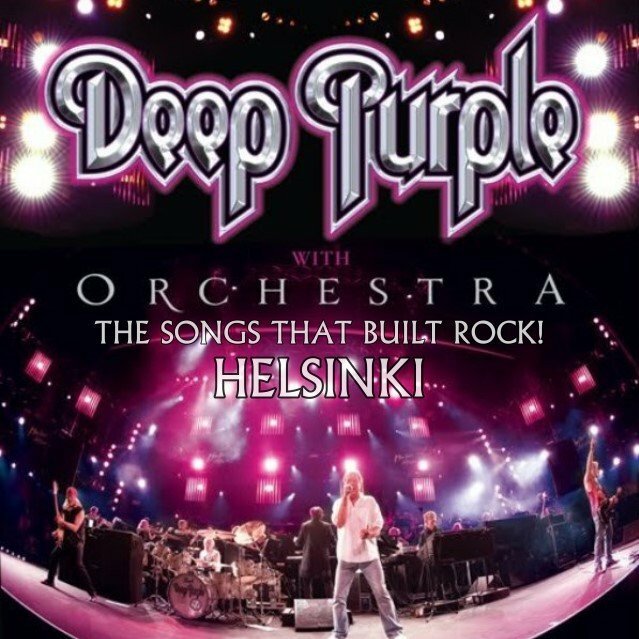 In fact, it’s already been six years since they released their latest studio release RAPTURE OF THE DEEP but it looks that there is still demand as they now sold almost 7000 tickets for their show for the Hartwall Arena. The show opened up with the intro “Deep Purple Overture” which sounded pretty flamboyant followed by powerful opening song “Highway Star”. It did seem that there was some problems with the sound at the beginning because the next pair of songs “Hard Lovin’ Man” and “Maybe I’m A Leo” did sound almost confusing. Fortunately things got much better with “Strange Kind Of Woman” and it did sound surprisingly good. There’s always a little excitement in the air when you go to see Deep Purple show nowadays but this time Ian Gillan handled his vocals in decent way. Of course his voice is not what it used to be back in the day but this time he did good work there. Only some of the highest notes were missing there and in fact I’ve witnessed some weaker performances from him in the past. His current avuncular outlook is somewhat “anti-rock” but at the same time he does have such a charisma what most of men at his age do miss. Ian Paice was still as good as ever behind his drum kit. It’s almost straightening to witness how there are few individuals who seem not to lost their touch after all those years. Paice is definitely still one of the best drummers there, there’s no doubt about it. If Paice’s playing was one of the highlights the other one was, a little surprisingly, the keyboard solo by Don Airey. After being ten years with the band it somehow shows that he’s now get rid of the shadow of Jon Lord and he’s now having a freedom and joy to play the classics in his own way with some new, fresh elements added every there and now. The solo part was a great collection of all kind of different musical styles including rock, jazz, classical and a few familiar parts from his past bands like Rainbow and Ozzy. All in all this was very professional performance which for sure made most of crowd satisfied but on the other hand this was just another routine gif with no big surprises there. In principle, it does sound a great idea to put together a classic rock band and classical orchestra. In fact, Deep Purple did that first time already in the late 60’s, so they’re not new in this game. But now, it of course did look to have big orchestra on stage but for reason or another, the orchestra wasn’t used as much as it could have been used. Actually there were only a handful of parts where you overall could really hear the orchestra there. The orchestra did sound great on “Perfect Strangers” verses and on “Space Truckin’” massive choruses. It was also a great to witness the “battle” between Steve Morse’s guitar and the conductor’s violin but other than those few partitions the orchestra just kept on playing the main riffs and rhythms just like the main band without any difference or different arrangements there. Also it has to be mentioned that this band is really stuck in their set list. Okay, this time they did rarely played “The Mule” from FIREBALL but the main set has been quite the same for the past ten years. There’s no denying that MACHINE HEAD is a classic album but is it really necessary to play over half of it on every show? Also, it must not be always fun to be Steve Morse. He’s been there for over fifteen years and band only did a handful of songs from his era. (Nothing from PURPENDICULAR which is his best work with Purple to date) However, these are matters of taste but band with such a massive back catalogue should definitely do some more changes or the number of the audience will start to shrink really soon. Hopefully there will be another Deep Purple album someday and band will do another tour with some reforms in their set list. Otherwise a farewell tour would be a valuable decision to think about? The Songs That Built Rock! Helsinki 0 out of 5 based on 0 ratings. 0 user reviews.